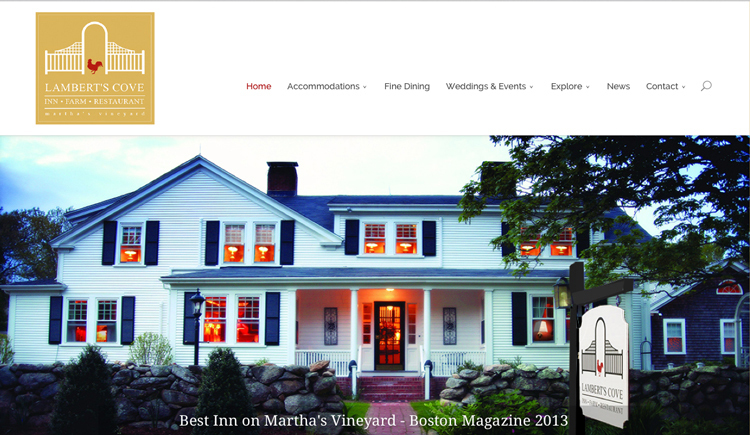 This is the second website we have had the pleasure of creating for Lambert’s Cove Inn on Martha’s Vineyard. The owners contacted us when their original website suddenly vanished – along with the hosting server. We jumped into action, tracked down their web credentials, and very quickly created a new WordPress web site. That was in 2012. In 2014 they added fresh produce, dairy and two adorable cheese making goats, Ada and Zsa Zsa to the property and added “farm” to their name. The timing was perfect for a shiny, new web site with fresh images and an elegant look befitting this beautiful and much loved historic inn and award winning restaurant.